Dabbing is the best way to consume cannabis extract. But have you heard of the reverse dab AKA the cold start dab? This method of consuming cannabis concentrates is also proving quite popular. It involves reversing the heating process by placing your extract into the banger while it is still cool and then heating it up. There are several advantages to this, with the main benefit being that you do not need to wait before hitting the dab, with your extract ready to consume after around 10 seconds, as opposed to the average 90 sec heat up/cool down time of a regular dab. Another benefit of cold start dabbing is that it saves your quartz bangers from getting dirty or chazzed (where they become opaque and dirty-looking in sections even after cleaning) as they are subjected to repeated intense heating. Of course, you could always use an e-nail to keep your banger or nail at the correct temperature for dabbing, but cold start dabs also boast a better flavour and a longer vapour production than their traditional counterparts. 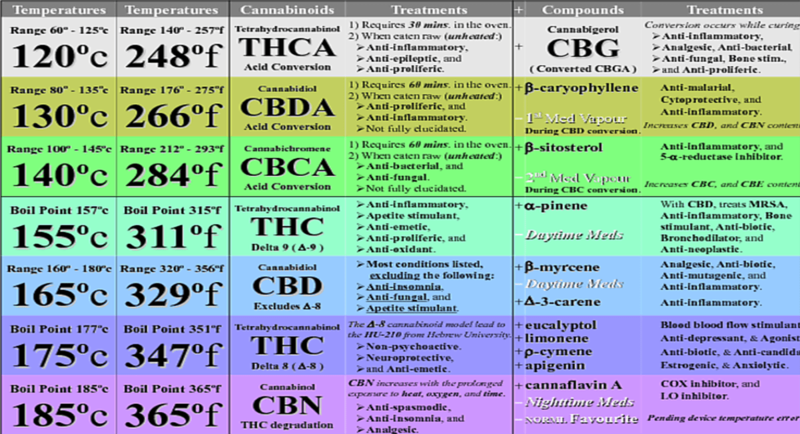 This is because terpenes boil off at different temperatures. When hitting a “hot” dab a lot of the flavour is actually boiled away, reducing the overall dabbing experience. The “hit” remains with hot dabs still getting you high, but some or most of the flavour can be lost if the banger or nail is still too hot when the extract is placed on it. Anybody who has waited slightly too long after heating to hit their dab will have noticed that despite receiving less vaporised extract, much of the flavour is notably still there. You will need your standard dabbing setup – that’s a dab rig + quartz banger, carb cap and dab tool, plus a blowtorch. Place your dab of extract into your quartz banger and place the carb cap on top. This can be as big or as small as you like. Heat the banger up for 6-8 seconds, or until you see the extract begin to melt. Do not heat up for too long otherwise the extract will heat up too much reducing the flavour. Once the extract has melted you can take your dab by breathing in through the mouthpiece of the dab rig. Tip: spin the carb cap around (particularly if using a bubble or directional flow carb cap) to increase vapour production. If some extract remains when the banger has cooled enough to stop producing vapour you can use the blowtorch to reheat the quartz for 2-3 seconds at a time until the extract is finished. Clean the banger with a cotton bud while it is still warm to avoid residue building up which can be harder to clean. You can watch our cold start dabbing video here via YouTube (or at the top of this page) to learn more about this dabbing process. We used some Gorilla Glue full spectrum CBD crumble from Synergy Extracts to try out the cold start dabs process and enjoyed the lovely flavour of their cannabis-derived terpenes!